The concert series also features young talent drawn from the local Cork ETB School of Music in Glanmire and Ballincollig. They are an opportunity for the young performers to make their concert debuts in a relaxed and appreciative atmosphere. The final concert in this series will be held on Friday 1st March at 8pm in St Mary and All Saints’, Glanmire, where a retiring collection will be held in aid of the Glanmire branch of St Vincent de Paul. 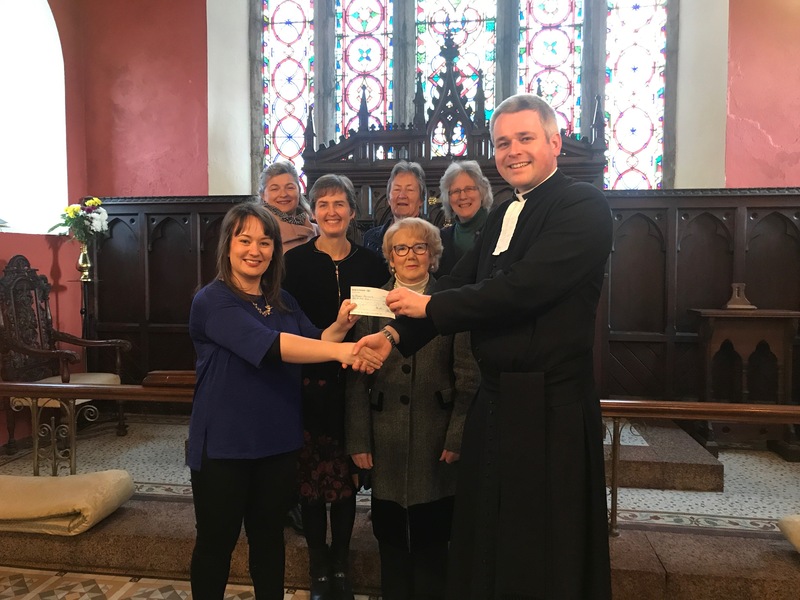 The Rector of Cobh and Glanmire Union of Parishes, The Revd Paul Arbuthnot, together with representatives of the parish and wider community, presents a cheque to Vivienne O’Mahony of the Cork Simon Community. This entry was posted in Charity Work, Church in Society, Church Music, Churches in Cork, Ecumenism, Partnership, People from Cork. Bookmark the permalink.